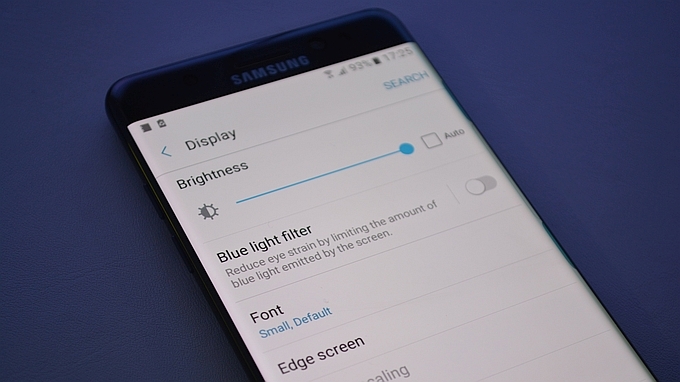 Android Nougat, also known as Android 7 has night mode feature that allows you to place a blue light filter on the screen during sleeping hours. In this article, we tell you how to enable the Android night mode feature on any Android smartphone. The blue light filter on the Galaxy Note 7. Firstly, swipe down from the top of your Android’s screen to open the quick settings menu. Then, tap and hold the gear icon in the top right corner for about 10 seconds. It also takes you to the Settings menu. Can I Play Classic Arcade Games On An Android? How Do I Disable/Enable Google Now? Once you complete the above steps, go to the Google Play Store and install a night mode enabler application. Please note that the previous steps are necessary. Open the Night Mode Enabler app. Then, tap the enable night mode option/toggle (or whatever the app says). The app then opens the System UI Tuner. Here, tap the toggle at the top to turn it on. In the System UI Tuner, you may also modify other settings like turning on Night Mode automatically, adjusting the brightness, and more. Also, you can read on below to add Night Mode to the Quick Settings menu. Is There A Way To Get Google Play On Kindle Fire? How Do I Right Click on Chromebook? Firstly, open your Quick Settings menu. Scroll through the list and find Night Mode. Then, long press the Night Mode icon, drag and drop it in the Quick Settings menu. However, if for some reason you cannot find night mode. Open the quick settings menu, tap edit and then click on the 3 dots in the top right-hand corner and select reset. Then, once complete, repeat the steps in the add night mode to quick settings menu section above. Is There A Way To Watch Amazon Prime Video On Smartphone?